DOT 5 brake fluid in your classic car? Don’t do it! 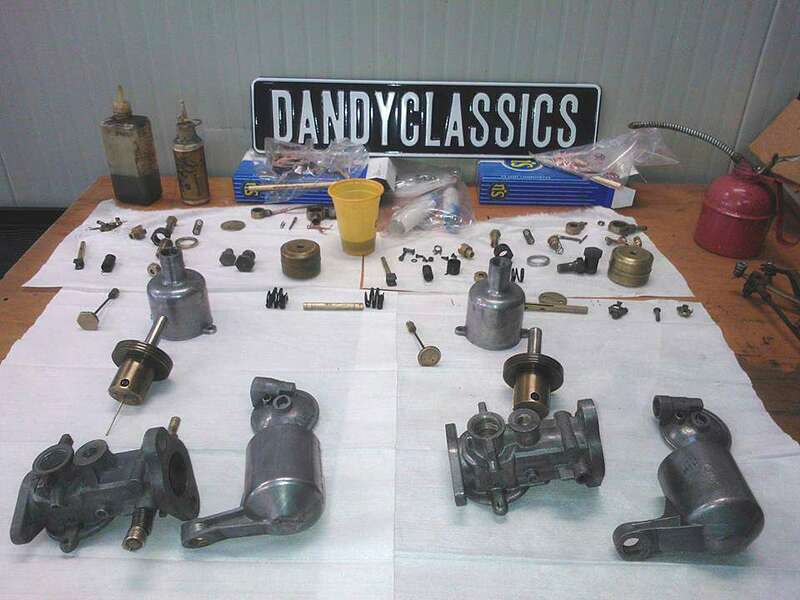 Although at Dandy Classics we are always interested in innovative products for classic cars, we have a rather traditional approach in our workshop. Our cars were designed to be serviced in a certain way, and one needs to respect that while also taking into account the many innovations in lubricants, coolants and other fluids. Take DOT 5 brake fluid for example. In theory, this is a perfect product for our classics. It is not agressive to paint and does not attract moisture. This means that in principle the brake fluid will never have to be replaced. So far the theory. As often as this is not always 100% consistent with practice. Especially not when a perfectly restored Triumph TR3 rolled into our workshop. As a matter of fact, it didn't roll very well anymore, as the front brake calves were quite tight. 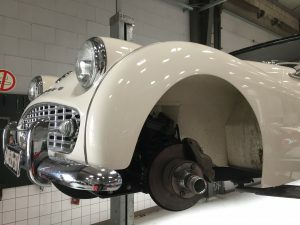 The braking system had been completely renewed and / or refurbished by a well-known company during the car's body-off restoration. The hydraulic system had been filled with DOT5. When removing the brake pads we noticed a lot of black contamination. 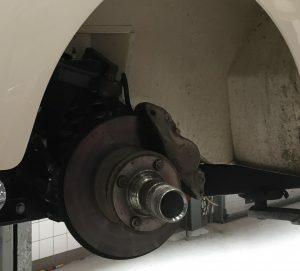 These small particles had been dissolved rubber parts of the soft parts of the hydraulic brake system: the master cylinder, brake calipers and possibly the brake hoses. Pollution leads to blockages and blockages in the end lead to sticky brakes. Conclusion: The brake fluid had affected the rubber. In order to switch over to conventional DOT 4 fluid, there is only one solution: Rinse the entire braking system (clean metal pipes inside) and replace all the soft parts. This comes down to a complete rebuild of the braking system. To be on the safe side, we did the same for the clutch circuit. All in all, a full day's work and big bill for the customer. It's a shame we had to do this on a restored car which already had the hydraulic system completely renewed. In theory, opting for DOT 5 prevented advisable bi-annual replacement of the brake fluid. In any case, replacing the brake fluid every 2 years is a lot more economical than solving these types of problems. 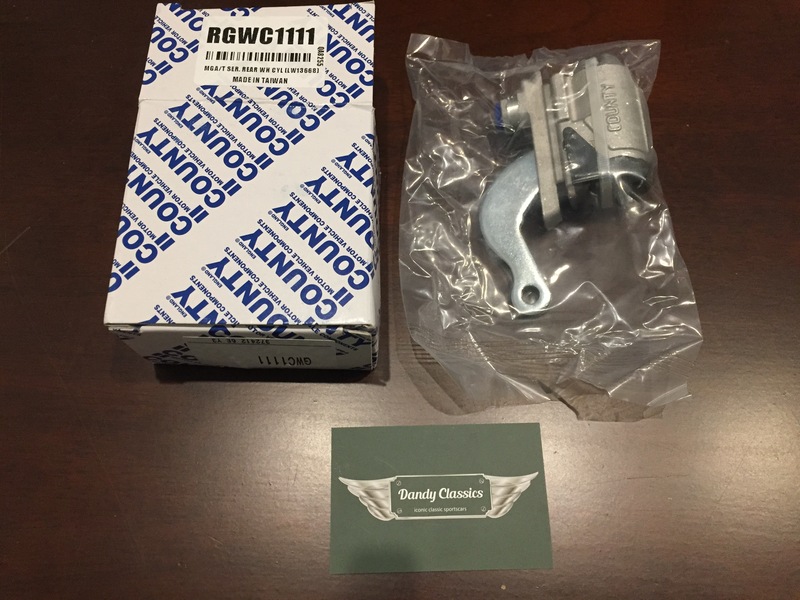 We keep a stock of new brake parts for Triumph TR3, which can be ordered in our parts webshop. 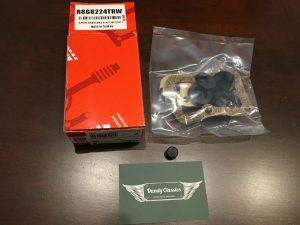 If you want to rebuild the brake system of your Triumph, please be aware of the harmful and potentially dangerous effects of DOT 5 in your classic car. Triump TR6 parts: what are the TR6’s weaknesses? With today's spare parts availability, mechanical problems on a Triumph TR6 are relatively easy to repair. We at Dandy Classics have many Triumph TR6 parts in stock. Thanks to workshop manuals and various internet forums, even unexperienced mechanics can already perform many basic repairs themselves. 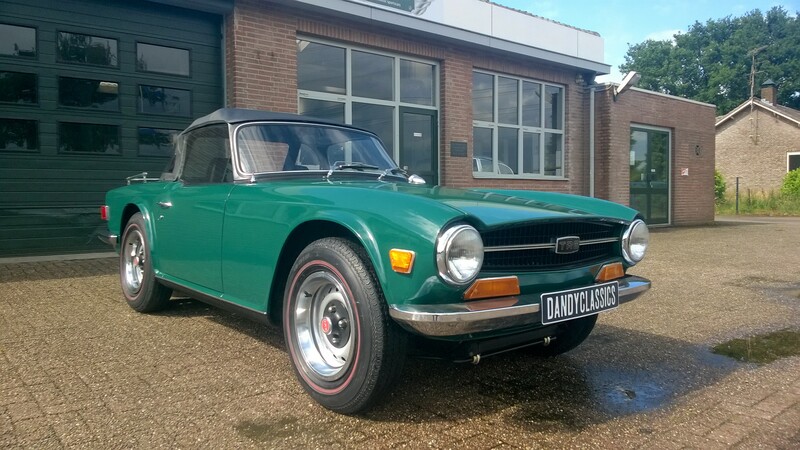 But what are the most common weaknesses you should pay attention to when purchasing or servicing a Triumph TR6? The Triumph TR6 was built from 1968 to 1976. These sports cars are now over 40 years old. Of the cars still on the road today, most will have been restored and rebuilt at least once. 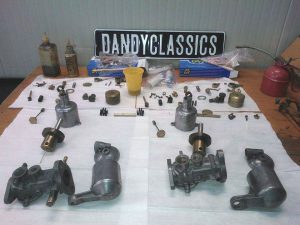 In the case of a good restoration, attention will have been paid to all the details of a car. But under a shiny new coat of paint, it is sometimes hard to see if a car is really healthy and solid. During the inspection of the body, be suspicious of poor repair work around typical weak areas: sills, floors, lower front and rear fenders and the edges around headlights and tail lights. Here, years of mud collection have often led to rust damage. The main area of attention is the chassis. 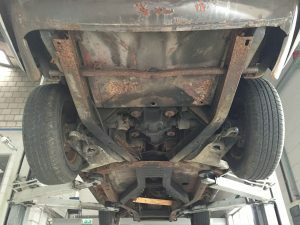 If there is any rust damage that needs repair, it is best to separate body and chassis. This encloses hidden areas and allows the complete chassis to be bead blasted and properly repaired. Are there any traces of welding? Take note of whether this has been done properly. An important weakness are the rear traverse beams (where the rear suspension's swivel arms are mounted). Good quality replacement sections are available, but they must be well aligned before insertion. Incorrect allignment will have consequences for trailing of the rear axle, which affects handling and tyre wear. The mounting points of the TR6's differential can suffer from tearing, especially on cars driven fast. In this case it is also easier to separate the body from the chassis, but it can also be repaired from below by removing the differential. As with many british sports cars, TR6 gearboxes and differentials do not have eternal life. Gearshift problems and whining noises are indicators of work ahead. 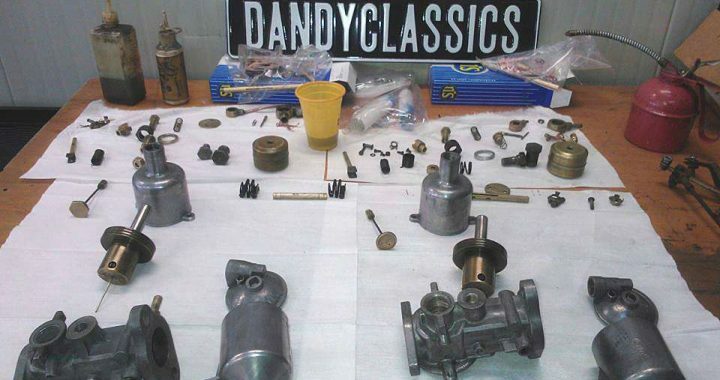 Our workshop performs rebuilds for both gearboxes and differentials of the Triumph TR6. rear IRS suspension parts (bearings, drive shaft, U-joints). 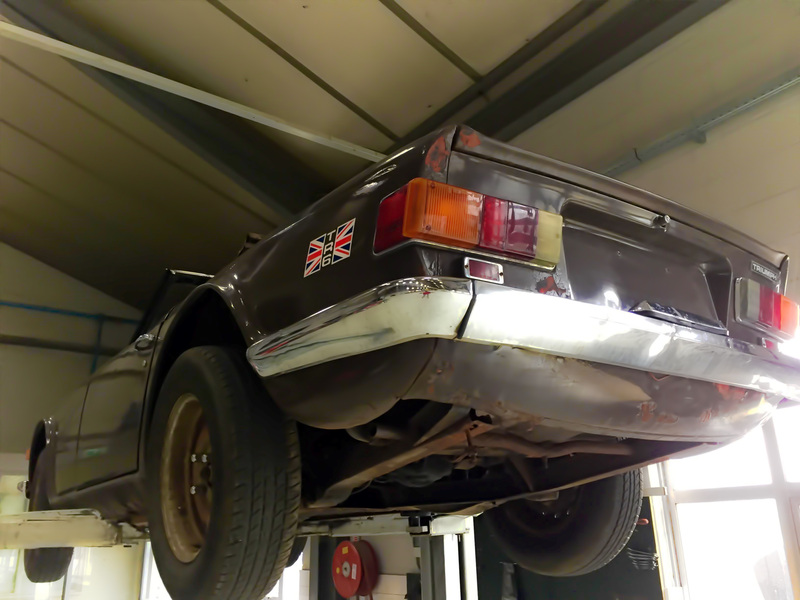 Need help with the work on your Triumph TR6? We are happy to assist you in our workshop. Do you prefer to do the work by yourself? The most common parts for TR6 and other Triumphs can be ordered in our webshop.